Primary navigation on PartsGopher can be identified by . . . Secondary navigation on PartsGopher can be identified by . 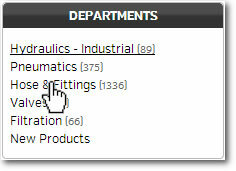 . .
ONE: Click on desired Department to begin selection. 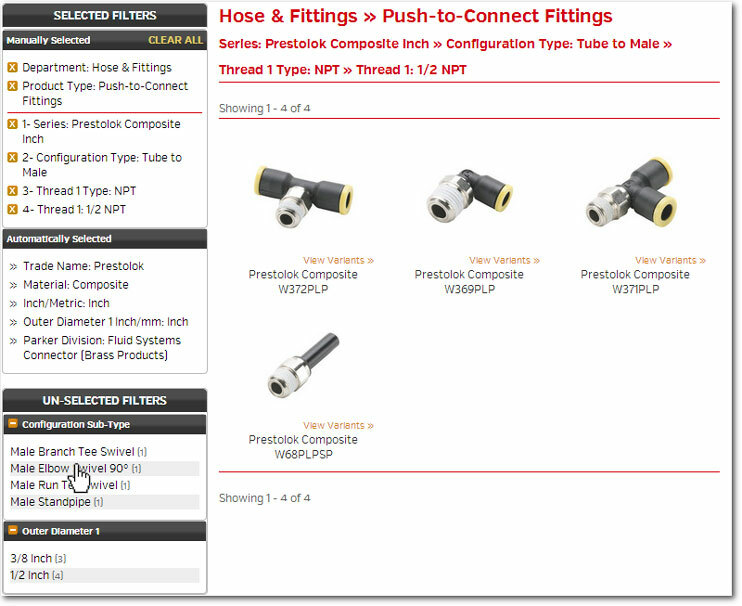 TWO: Click on desired Product Type and Product Sub-Type (if one exists) to continue selection. 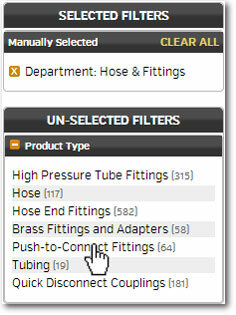 THREE: Click on desired Filters to narrow your selection based on desired attributes.